US equity indexes closed moderately higher, sp +6pts @ 2275. The two leaders - Trans/R2K, settled higher by 1.0% and 0.2% respectively. 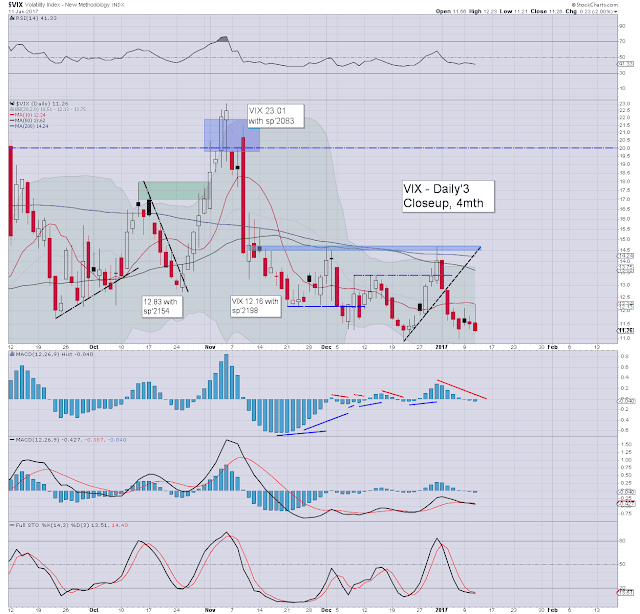 VIX settled -2.0% @ 11.26. 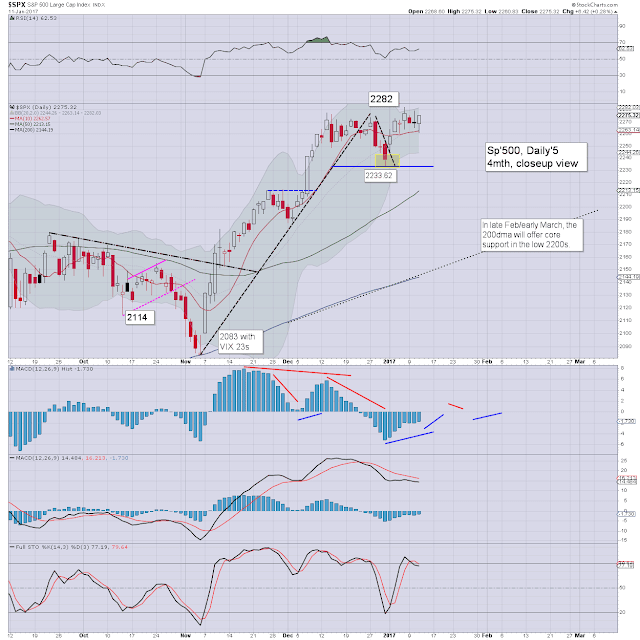 Near term outlook offers broad strength into the weekend.. as Dow 20k and Sp'2300s are due. There is no question, today's price action was largely a result of Trump's morning press conf'. The HFT algo-bots are hanging on every single world from Trump. For those with a weak stomach... the coming years are going to be much like today, as any stock, sector, commodity, or even currency, will be vulnerable to any utterances from the soon to be president. At least it won't be dull.